In total, 72 Ontario athletes and two Ontario guides are part of a team of 205 athletes and 11 coaches representing Canada. Katie Harnock (Elmira), Darda Sales (London), Tracey Ferguson (Richmond Hill) and Melanie Hawtin (Oakville), members of the women's silver medal winning wheelchair basketball team at the Guadalajara 2011 Parapan Am Games. The TORONTO 2015 Parapan Am Games will set a record for hosting the most sports in the history of the Games, including archery, athletics, boccia, cycling (road and track), football 5-a-side, football 7-a-side, goalball, judo, powerlifting, sitting volleyball, swimming, table tennis, wheelchair basketball, wheelchair rugby and wheelchair tennis. All events will be Rio 2016 Paralympic Games qualifiers, setting the stage for fierce competition among some of the world's best athletes. Ontario supports its athletes year round with direct financial assistance through the Quest for Gold program. Ontario also assists provincial sport organizations to ensure that high performance athletes have the tools they need to succeed at the highest levels of competition, including the 2015 Games. Investing in the development of our amateur athletes and providing them with more opportunities to succeed supports the government's economic plan for Ontario. The four-part plan is building Ontario up by investing in people's talents and skills, making the largest investment in public infrastructure in Ontario's history, creating a dynamic, supportive environment where business thrives and building a secure retirement savings plan. 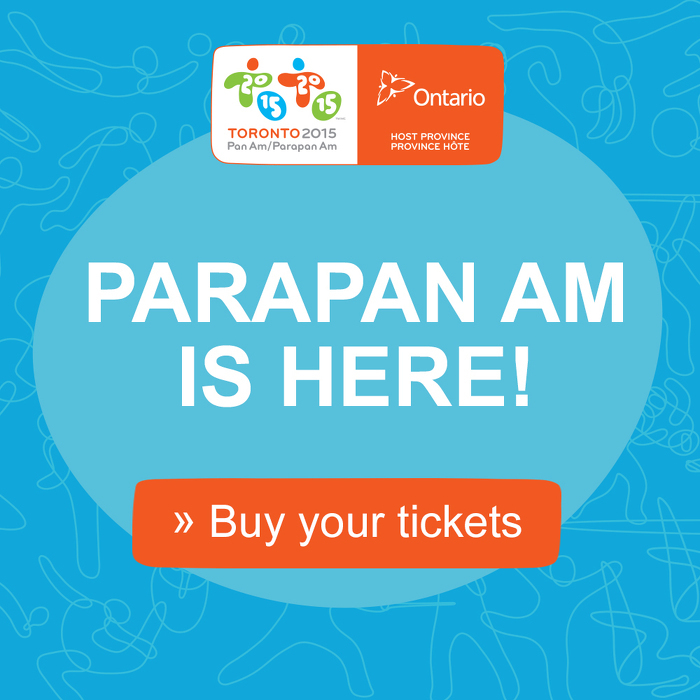 The TORONTO 2015 Parapan Am Games will be the most accessible Parapan Am Games ever. This document was published on August 06, 2015 and is provided for archival and research purposes.